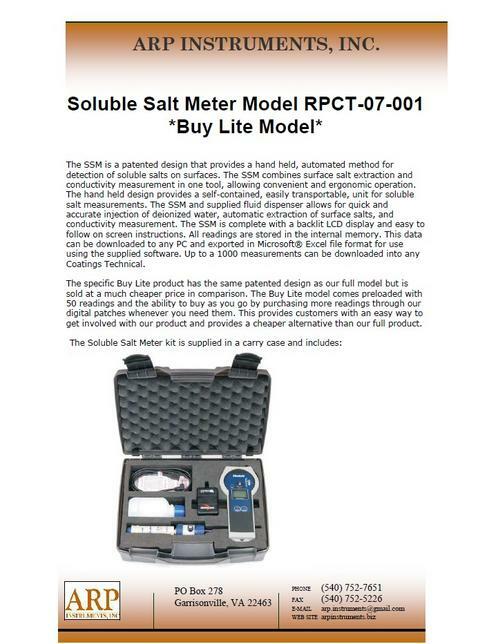 ARP Instruments, Inc. now offers a Soluble Salt Meter (SSM). 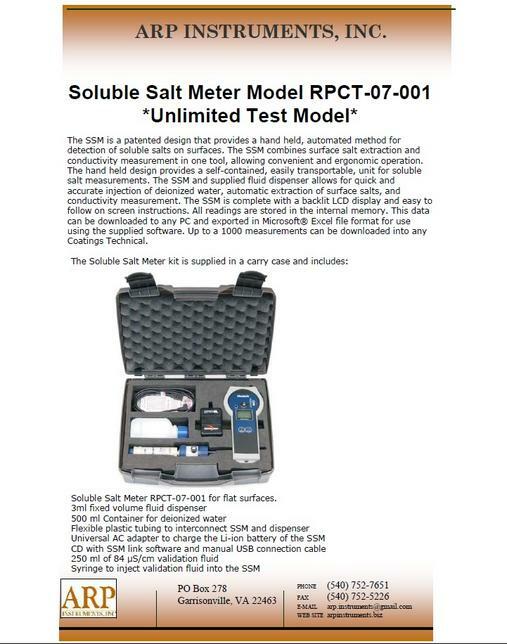 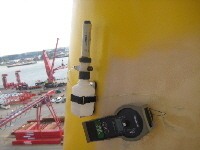 The SSM (Model #RPCT-07-001) is a patented design providing a handheld, electronic replacement to the Bresle patch for surface conductivity measurements. 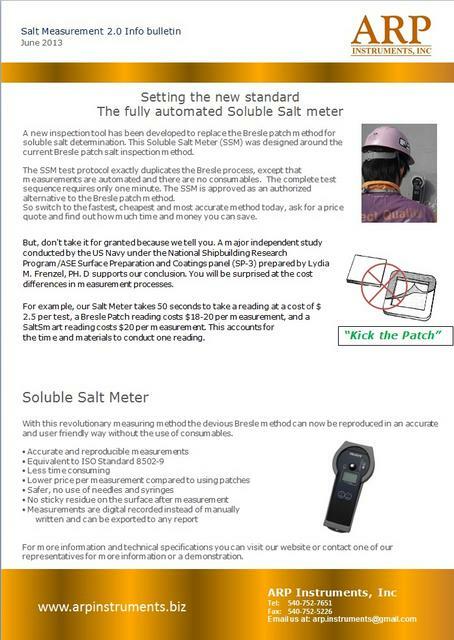 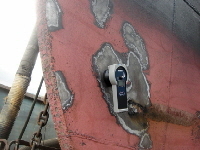 The SSM is a patented design that provides a hand held, automated method for detection of soluble salts on both FLAT & CURVED surfaces. 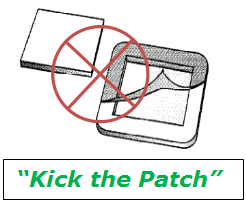 The SSM has been independently tested both in laboratory and Navy shipyard facilities and is approved by NAVSEA for use as a replacement to the Bresle patch method in NAVSEA Standard Item 009-32 (FY-10). 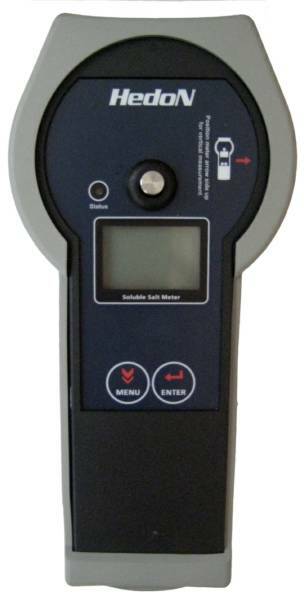 The SSM is equivalent to the Bresle Method ISO 8502-9 as tested by independent laboratory in accordance with NACE SP0508-2010.